We here at KITAMURAKE strive to provide you with an izakaya (Japanese pub) where you can enjoy the most delicious food and drink. Why not start with one of Mama Kitamura’s customer-recommended Little Bowls of Love and a draft beer? Made by Mama Kitamura, with recipes honed over 40 years of home cooking. Uses various vegetables. Four different kinds, rotating daily. Each bowl is lovingly made. Well-soaked for a refreshing crisp taste. Cucumbers pickled in rice bran. 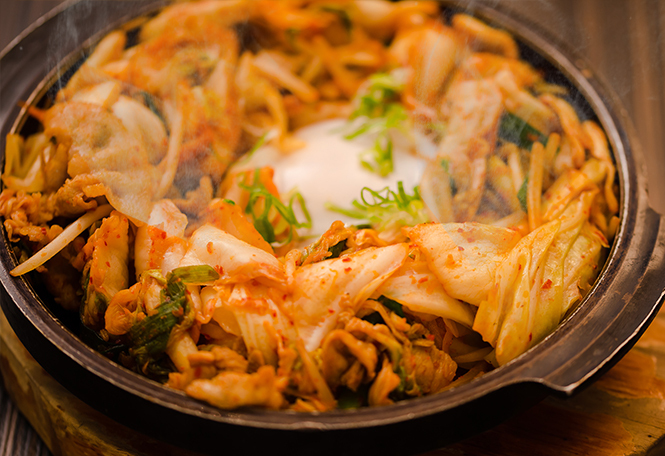 Enjoy alongside a serving of kimchi. Onions are good for your circulation! Mama’s special dressing topped with heaps of grated cheese. 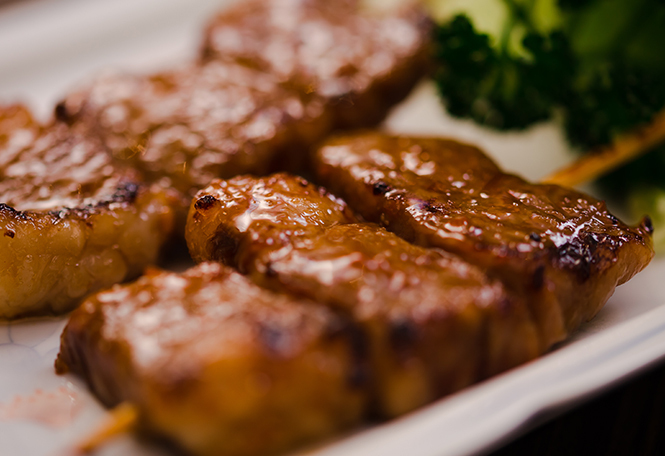 Try it with wasabi and soy sauce! Try today’s catch, fresh! Changes daily. These three are a perfect match! The sauce is Papa’s own legendary recipe. 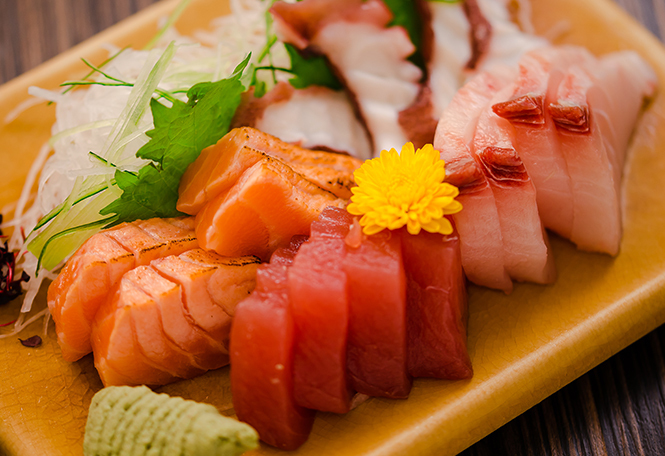 Taiwan’s two most beloved fish, tuna and salmon, together with octopus and the day’s special. Four of each! Can’t have beer without them! Difficult to make despite it’s apparent simplicity, this dish was removed from the menu. Hong Kong superstar Leon Lai ate the last bowl! It has since been revived, and is more popular than ever. Moromi miso and cucumbers are soulmates. Slices of steamed fish paste served with wasabi and soy sauce. For days when you want something a little different. Thin slices of tender, steamed ox tongue, soaked in special ginger sauce. One of these will last you two beers! It’s a well known fact that if a restaurant can make a good vegetable stir-fry, then they anything you eat there will be delicious. Try it out! 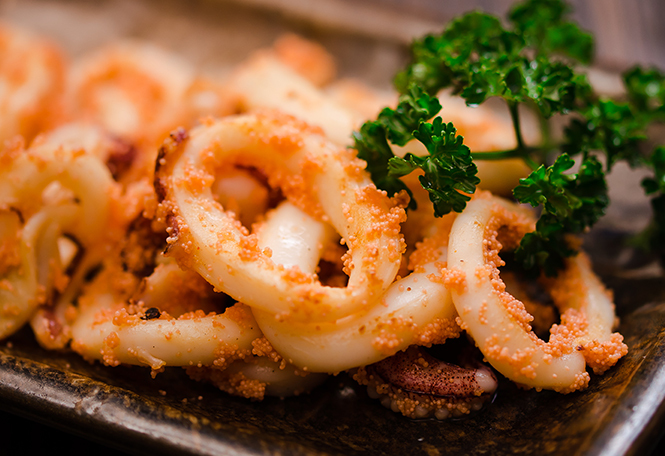 Spear squid mixed with salted cod roe spiced with red pepper. A simple dish, but it’s KITAMURAKE’s #1 bestseller! Kimchi from a certain well-known and well-liked Korean BBQ restaurant, combined with heaps of pork loin and vegetables. Mix it up with egg before eating! Kalbi meat goes best with tare sauce. You’ll want to have this with white rice! Unfortunately, we do not sell white rice. Whoops! That’s embarrassing! Pork + cabbage + onion + bean sprouts + carrots + kamaboko + chikuwa + fried tempura batter + our special tare sauce + Sanuki udon noodles = delicious! These get the highest approval rating from our regulars. Tofu fried in a bonito-flavored batter. Burdock cut thick, steamed and then fried. Crunchy on the outside, tender on the inside. Crunchy deep fried filet beef covered in thick demi glace sauce. Enjoy! Crunchy deep fried filet beef covered in refreshing ponzu sauce mixed with grated daikon radish. One of our more popular dishes! Bathed in our special tare sauce. Crunchy on the outside, tender on the inside. Bathed in our special tare sauce. Fried to crunchy perfection. A can’t-miss match with any alcoholic beverage. Mama’s favorite of all of Papa’s dishes. Our posterboard dish! Enjoy with our special tomato sauce. Melted cheese mixed with a high grade beef and pork blend. It is also available as a simple sashimi, but this sea urchin is wrapped in beefsteak leaves and seaweed, then fried. It smells and tastes fantastic! Enjoy fried shrimps and fried oysters along with our specially made tartar sauce. Fried eggplant topped with miso and grilled. When it comes to Japanese beef, the flavor is in the fat. 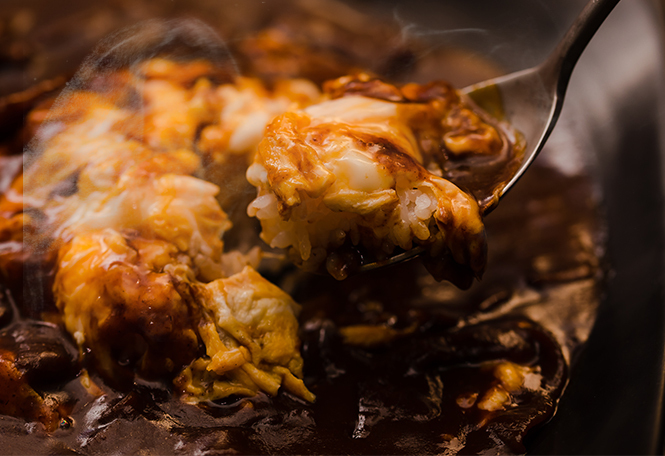 Try this Japanese beef from down under, coated in our special tare sauce. High grade beef and pork blend grilled and covered in cheese, then topped with our special demi glace sauce. High grade beef and pork blend grilled to perfection. Topped with ponzu sauce mixed with grated daikon radish. The same shrimp can be had as sashimi, but we boldly grill it to create a luxurious delicacy. It wouldn’t be a Japanese pub without mackerel, dried overnight, and then grilled. Enjoy the afternoon’s catch from Nanfang-ao(rosy seabass, horsehead tilefish, mackerel, etc. ), grilled and salted. 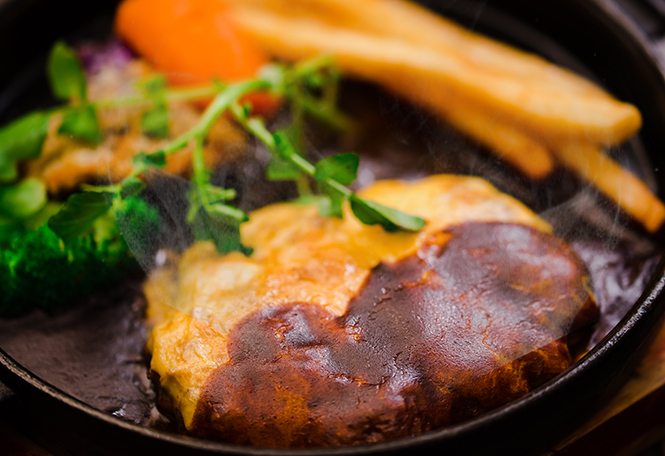 Enjoy our soft and fluffy omelet covered in thick demi glace sauce! Salmon inside of a dashi/egg wrap. Super popular! Cod roe inside of a dashi/egg wrap. Super popular! The beef filet steak with oroshiponsu is one of the best bangs for your buck. 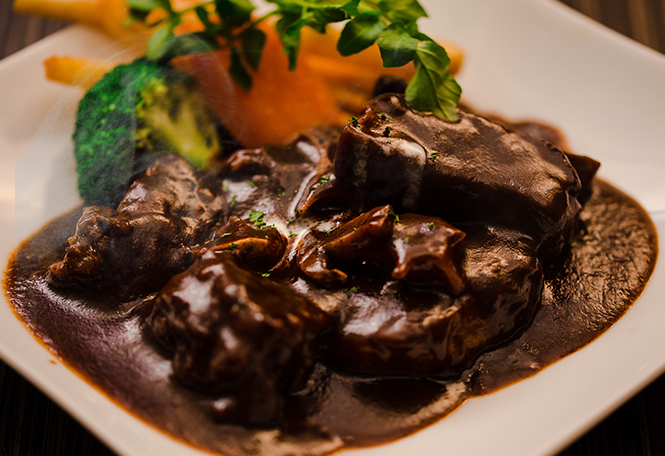 Beef with a hearty serving of vegetables and wine, slowly boiled with demi glace sauce. As the name says, it’s a very light soup, made with tail. Taiwanese clams are even bigger and plumper than their Japanese counterparts. These delicious clams, along with seaweed and Japanese sake enrich this soup. 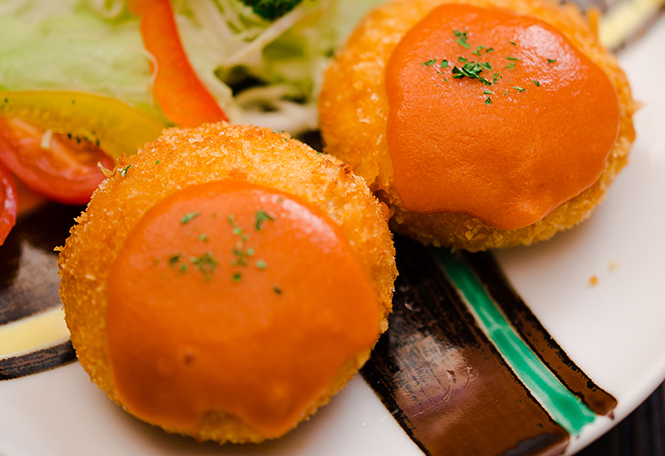 Our signature rice balls are crisp on the outside and fluffy on the inside. The most popular choice for closing out the night. The first pudding recipe which Papa Kitamura learned, over 50 years ago. Eat it and feel like you’re in the Showa era again. Changes daily. See our blackboard. 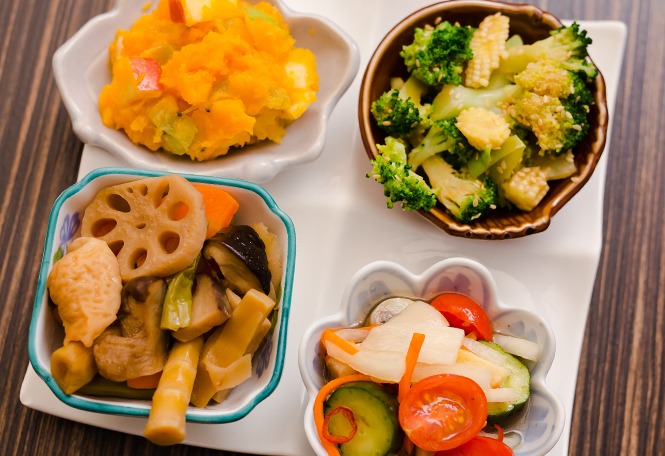 Assorted vegetables and other foods stewed in a thin soy soup, served hot. Made in the traditional Kansai style. It’s a virtual necessity in winter! Shiga dashi, Giran duck, and Giran onions are an exceptional match! These dishes are subject to an additional 10% service fee.